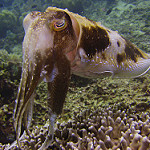 Been diving in North Sulawesi? Please Vote! If you’re serious about getting the most out of your diving holiday, a visit to North Sulawesi in Indonesia is an absolute must! A top contender in the running for the title of ‘best resort diving destination’, North Sulawesi is home to more than 100 dive sites in what is known as one of the most bio-diverse marine areas on Earth. This area, known as the Coral Triangle, sits at the meeting point of the Indian and Pacific Oceans and is aptly named for its abundant number of corals and diverse marine life. Explore below more details about scuba diving in North Sulawesi. Near Manado, the Bunaken National Park, was first established in 1991 and was then one of the first of its kind in Indonesia. Staying at a dive resort on the island of Bunaken is a popular choice as divers need only spend a few minutes on a boat ride to the diving locations. The unique national park is made up almost entirely of water rich with marine life of all shapes and sizes. The pristine reefs are covered in healthy corals of up to 600 different varieties. These reef-building corals play a huge role in nurturing the abundance of marine life in the area, including six species of marine turtles, sharks and more than 2000 reef fish species. Bunaken National Park is famous amongst wall diving enthusiasts but is equally enjoyable for all divers and has a great deal more to offer than wall dives alone. That being said, the sites known as Lekuan 1, 2 and 3 are fantastic wall dives that generally offer milder currents and a good variety of things to see. Trevallies, snappers and giant groupers have all been seen in these areas as has the occasional white tip reef shark. Night diving at Bunaken National Park is also a popular choice. Lembeh Strait is known as the macro diving capital of the world, so for those interested in underwater photography, critters and muck diving, this would be the place to target. These sites can be reached from the mainland of Manado or by staying in any of the several exclusive resorts nearby. Divers will be likely to see the interesting-looking frogfish, peaceful seahorses and a variety of nudibranchs, so be sure to bring your underwater camera along. 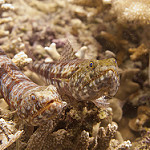 Muck divers are never disappointed with the wide variety on offer here which includes scorpion fish, frogfish, sand divers, pipefish and possibly even the pygmy seahorse. The extremely rare mimic octopus has been known to make many a diver’s day at the various sites surrounding Lembeh Strait. One popular site to experience the world-class macro diving of Lembeh Strait is known as Angel’s Window which features a large pinnacle with a challenging swim-through for those feeling brave. Another exciting site has been named Hairball as a result of large amounts of algae deposits somewhat resembling a hairball from a cat. Aside from the less-than-appealing name, divers would be disappointed to miss the fantastic marine life on show at the Hairball dive site. The sites around Bangka Archipelago are also magnificent and offer a wonderful variety of exotic marine life for divers to enjoy. Many experienced divers choose to explore North Sulawesi by liveaboard as this popular option offers up to five dives a day in the area. Liveaboard trips can also be matched to your diving budget and specific interests with options to focus on underwater photography and/or muck diving as one example. 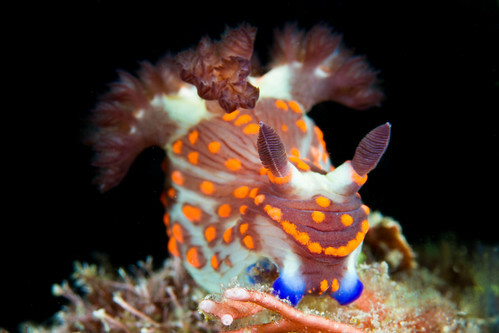 Lembeh: The muck diving is fantastic year round with more critters coming out during the ‘wet’ season. Bunaken and Manado Bay: March to October is the best season for diving. Avoid December and January. Bangka: The diving is year round with the best visibility (up to 35m) being from March to June and from October to December. The main reason scientists have found to explain the wide variety of marine life in North Sulawesi is the fact that there are three different masses of water that get to the area at the same time. Those masses of water are the Pacific Ocean, the Sulawesi Sea and the Indian Ocean, which make the water rich enough to attract several species of fish and plants. The currents that are affected by tides together with the variety of scenery play an important part in the wealth of this heavenly paradise. 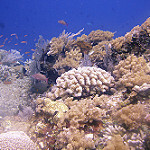 Warm waters are the norm for dive sites in North Sulawesi with average water temperatures in the region of 27 to 29°C. For this reason, diving is possible throughout the year, however many would agree that the best time to dive in Indonesia is between April and September. From September through to October, water temperatures can drop down to 24 degrees Celsius. Visibility is usually very good, with an average of 30 metres visibility in the summer. There are many dive centres in Manado and Bunaken, giving divers a number of options when looking to dive at Bunaken National Park. A number of quality dive resorts and dive centres are on Bunaken island which is only a 60 minute boat journey from Manado. Resorts offering diving at Lembeh Strait are suited to every budget, from upscale resorts with private bay areas to the budget but well-reviewed local dive resorts. An excellent option for those divers wanting to get the most of out their diving holiday, liveaboards are an ideal option that can offer an itinerary including North Sulawesi and other famous dive destinations islands in Indonesia. Feeling inspired and raring to go? Check out our travel guide and start planning your next diving trip! We are a group of 6 experienced divers who want to dive in a liveaboard around Manado next November, 2017. Could you tell us if do you have room available a for us and how much would it cost? We are two Belgians traveling around Indo trying to do a ton of diving along the way of course. At the moment we have just arrived in Manado and are looking for a good operator to dive (and maybe also stay with) for a couple of nights in Bunaken and Lembeh. Our schedule is pretty flexible so the order of when we visit both can vary, but we would like to visit both for at least 2 nights and a couple of dives each. We are quite on a budget though, so we wanted to check if you would have any last minute deals on offer. We are not traveling with any divegear, are both advanced open water +nitrox certified and have 55+ and 75+ dives experience. Please get back to us! I’m in searching any PADI open water diving (OWD) course that near to Balikpapan (East Kalimantan) where I stay right now. I found your website from Google. 1. How much the current actual rate for OWD? 2. What things that I’ve to prepare by myself? 3. What is the package of that price? equipment, boat, lunch, accommodation etc. 4. If it is not including accommodation and local daily transport, could you propose me the full package that include the complete OWD course, accommodation and daily local transport (walking distance accommodation to your place is preferable). 5. When the next course schedule? time schedule for arrival and departure arrangement. 6. Can I register only for 1 person? Welcome for any further important information that I’ve to know. I would like to know about the Open Water Referral program. We (2 people) have limited time on our holiday, so we would like to follow this course on 27-28 March. Do you have this program available during that period? How much is the cost for this program? 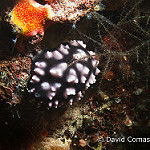 I’m a solo traveler/diver wanting information on diving with you at Lembeh. I’m already in Manado and could arrive within the next few days. Do you have availability for me? Can you give me a phone number where I can speak to you or possibly whatsapp So I can make my reservations. Thank you! hi i have dived with you twice before and am thinking of coming again in a few days with my wife, please tell me the rate for all inclusive accomodation i see ffor two it is 30usd on the website is a discount possible also i will dive if the rate is good i am dm with full equipment. one important thing is do you have 4gg phone signal at the resort as i ghave to work in the evenings. please respond quickly as i wish to buy a flight from ambon. My wife and I will be in manado Last week of June. I want to do the rescue diver course as I already have advanced license. How many days and what does the course include.?. On the dive days of my course my wife would like to come with us to do recreational dives on the spots where I would be doing the course. She has open water license. Pleas email me with more info. Diving in Mantehage Island will give you such a great experience!